As a patron of food establishments, and lover of big data, I recently spotted a missed opportunity by many restaurants, diners, and coffee houses I frequent. 90% of these establishments have no way to connect to me once I leave their place of business. Knowing who I am, keeping me connected and engaged, can yield benefits to the bottom line for many restaurant business owners and franchisers. Enable customers to use social media apps to connect to your guest Wi-Fi. 64% of consumers make a restaurant choice based on availability of Wi-Fi services. And if it is difficult for a consumer to log onto your guest Wi-Fi, more than likely they will not put in the effort to use during their stay. To put this in perspective, in the last 4 weeks alone, I’ve gone to 10 different restaurants seeking a place where I could grab a bite to eat and get a little work done, or just surf. On average, I spend a minimum of $10-$15 per visit. While each of the 10 restaurants had guest Wi-Fi, all of them asked for an internal password. In each case, I looked around for a hint, note, or scribble identifying the password, and couldn’t find it. In 60% of these visits, I simply gave up attempting to access guest Wi-Fi, and left the premises without placing an order. In one case I asked one of workers for the password and got the response, ‘Sorry sir I don’t know it”. Use social media platforms to communicate and offer deals to local customers and prospects. Do you have a new dish you created that no one knows about? Want to let consumers know about the new big screen TVs you installed at the bar? Or simply want to generate more traffic at your establishment? Using Facebook, Google+, and other social media platforms will allow you to communicate targeted messages to patrons and prospects in and around the area of your business. 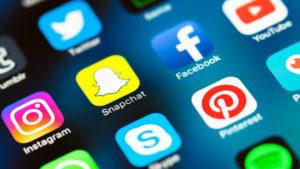 The compelling part about this solution is that Social media platforms offer a low cost, high touch, and high impact method to stay connected, and deliver targeted messages to local consumers. An additional benefit comes in the form of patrons sharing your message with their social media network. This alone has the potential of increasing awareness of your brand with little effort. Another advantage here is that by using this method, you have the opportunity to capture the attention of patrons active on apps like Facebook and Google+, but are not active in your loyalty program. Create a user-friendly loyalty app. Per CrowdTwist, socially connected loyalty program members have an 18% lift in spend. Having your own app for your customers is the holy grail of any consumer related business. If developed right, a custom app will give you a complete view of your customer’s habits, buying patterns, offers taken, total spent….. you get the picture. However to do this right, you need a significant IT budget and resources, to build and maintain an effective app. This is by far the hardest but most effective way to stay connected. Owning restaurants is a tough business. Finding ways to stay connected to patrons is a driving force in making customers happy., and keeping customers spending their hard earned money at your establishments. Gary Mann is Managing Director for JASFEL Analytics, and has 20 years experience helping large and small businesses acquire, integrate, and analyze data to drive decisions, and execution for strategic and tactical initiatives. Gary can be reached at GMann@jasfel.com.